Pick your best outfit combination within RM120 from Zalora's collection below. Share it on Facebook with the #My120Look hashtag. Collect the most likes and be among 10 selected winners over 5 weeks to take home RM250 worth of Zalora Store Credit! 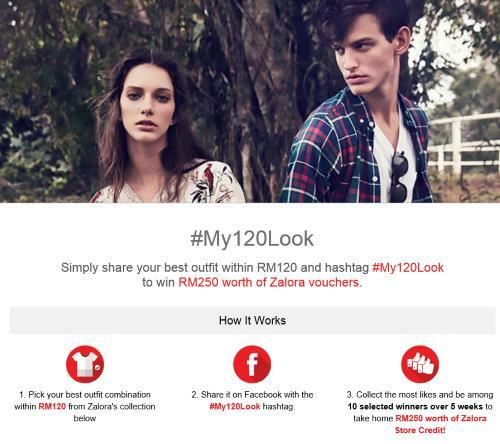 Visit #My120Look Contest page for more details.